COMMAND Center USB Download Cable - Gilson Co.
HMA-704 COMMAND Center USB Download Cable downloads and transfers data from Concrete Maturity Sensors to the HM-680 Pocket COMMAND Center or Windows-based devices for viewing, analyzing and reporting. 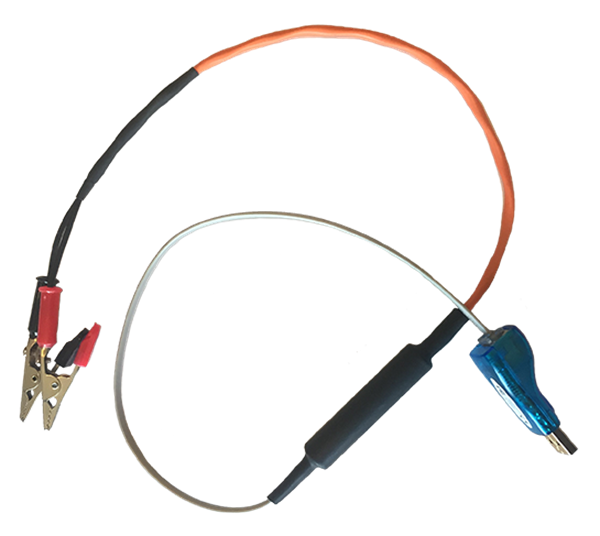 The 33in (838mm) long cable assembly has a 1-wire USB adapter at one end and red and black alligator clips at the other for connecting to the sensor. The red and black alligator clips attach accordingly to the red and black wire leads of the Command Center Sensor.